I shot this a couple years ago, on the same evening I captured this image of a couple at the World War II Memorial. I thought the moon looked cool, so I ventured out to take pictures. 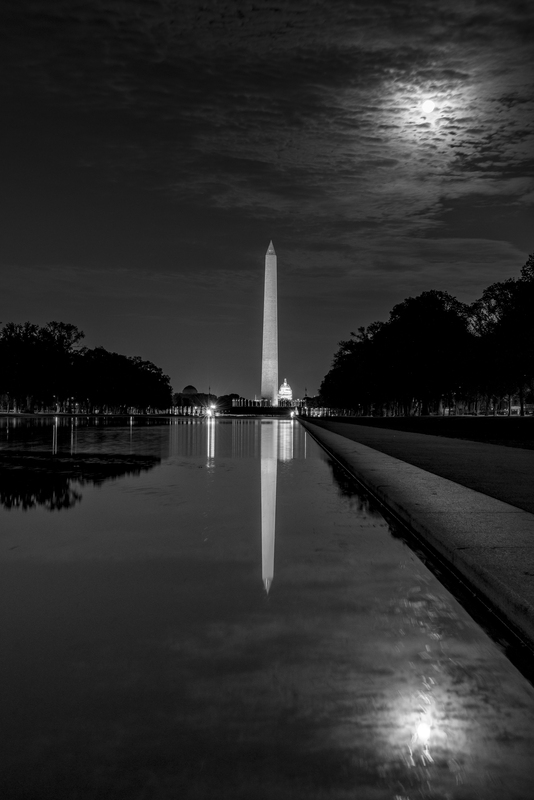 The monuments in DC look impressive during the day, but they become sublime when lit up after darkness falls.